Early in the morning scenic drive to Kerung Border (Nepal-Tibet Border) through the beautiful Nepalese countryside and after necessary border formalities at Nepalese immigration, an hour adventurous uphill drive by Bus & Jeep (normally) or 2 hour walk uphill (in case of landslide to Chinese immigration, check-in to hotel or Continue drive to Kerung. From kerung, we will be driving for another 5 hours to reach Old Tingri. 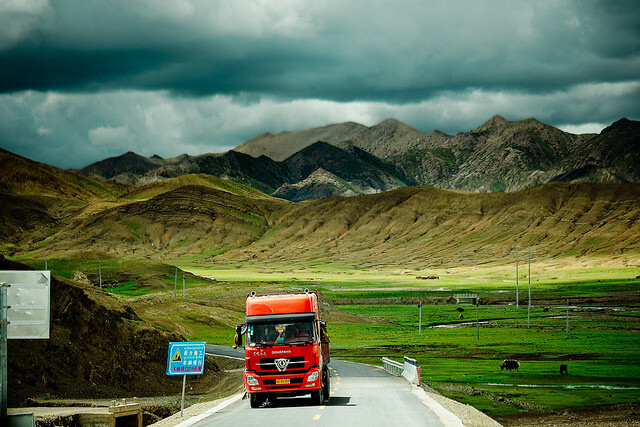 Our Journey starts with an adventure drive into the dry and arid landscape of the Tibetan Plateau. You will pass through Peiku Tso Lake (4600M, a cobalt blue lake). En route you can enjoy the great panorama of Himalaya including Mount Shishapangma, Langtang, Gaurishanker, and Annapurna. From Old Tingri, you could also see Mount Everest. The sunset view is also very awesome if the weather is good. Today morning, we will drive to EBC. After having a memorable time here at EBC, we will then continue our drive to Xegar. Xegar is a town with a population of 3000. Its importance lies in the fact that it is the center of this large and remote country also because it is the base from where expeditions to Mt. Everest and other peaks are launched. This route involves the highest viewpoint – Geso la (5248 M/17,217 FT). In morning, we will be going for sightseeing to the Panchen Lama's Tashilhunpo Monastery. After that, we will head towards Shigatse. Upon arrival in Shigatse, we will visit the Tashilumpo monastery - the seat of Panchen Lama, who is regarded as the reincarnation of the Buddha of endless enlightenment. Items of interest inside this monastery built in 1447 by the first Dalai Lama are the relics of Shakyamuni, the hall of Maitreya and a mind-boggling collection of thankas and statues. Today morning, we will drive to Gyantse and visit the Kumbum Stupa & Phalkor Monastery. 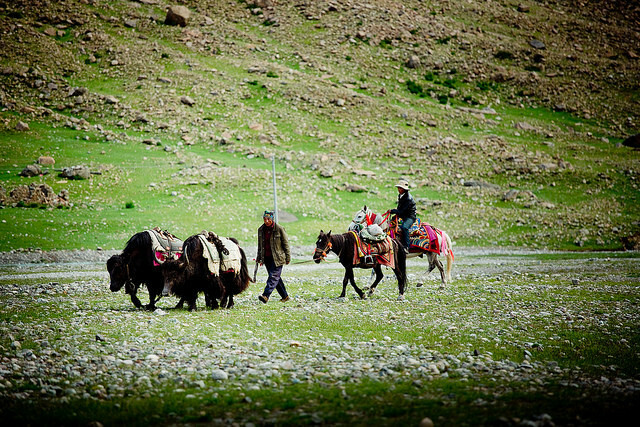 Then, we will continue our journey for another 5 hours to reach Lhasa. Today is a long day drive but with some landscapes spectacular the speed limits are very severe and we will pass many controls, after many hours of the road we will reach the top of the Kamba pass (4700 mt). From here we can enjoy a beautiful view of the sacred lake Yamdrok Tso of a perfect turquoise color. When we leave Nangartse, we start to climb the second step of the day: Kerala the 5,045 meters above sea level, from the top we can admire very closely the spectacular Nojin-Kangtsang glacier (7.206mt). Today, we will be starting our exploration by visiting Potala Palace. A visit to Tibet cannot be considered complete without a visit to the Potala Palace. It contains the private stays of the consecutive Dalai Lama as well as numerous government rooms and many chapels. We will climb up the palace along the zigzag stone paths with white and red walls to the top of the palace which offers great views of old and new Lhasa. We will walk into the inner space of the palace to explore and learn about the history of a palace which was the winter residence of the Dalai Lama. Then we will be visiting the beautiful Norbulingka which used to be the former summer palace of Dalai Lamas in ancient time and now is a public park. Lastly, we will be visiting the Jokhang temple. 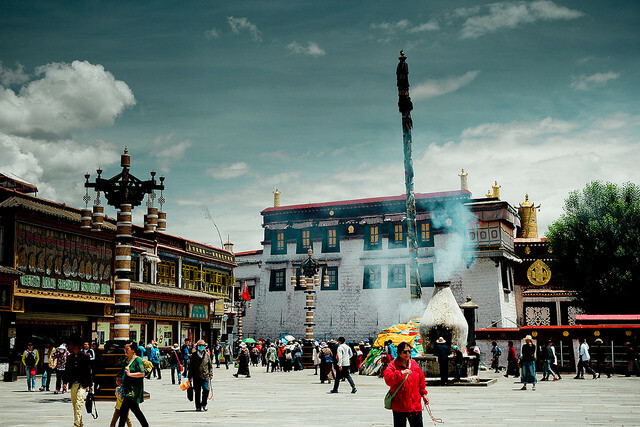 The Jokhang temple is the most important pilgrimage point of Tibetan Buddhism. Around the temple is Barkhor Street where we can do koro with pilgrims and locals. You can interact with the locals so that you can learn more about their culture. You will be seeing many local people on the street wearing their own traditional attire with some beautiful traditional hairstyle. Perhaps, you can click some snaps with them too. The street also has many shops selling a wide variety of traditional Tibetan goods and religious items. Here, we can also buy some souvenirs. Today, we will be exploring some other places in Lhasa. In morning, we will be visiting the Monastery of Drepung founded in the 14th century. For a time, it was the largest monastery in the world, with a population of about 10,000 monks. Today that number has dropped to several hundred, but it remains a very interesting monastery to see because it did not suffer great damage during the Cultural Revolution and houses many sacred objects and original paintings. In the afternoon, we will be visiting the Sera Monastery, the most important Gelugpa Buddhist University in Tibet. Here, you will be seeing many monks debating in Buddhism philosophy.